Make a donation and receive a postcard! One of the most spectacular waterfalls in the state and a very traditional looking waterfall. Also has one of the largest water flows of any falls in the state. Easily accessible observation points both above and below the falls. 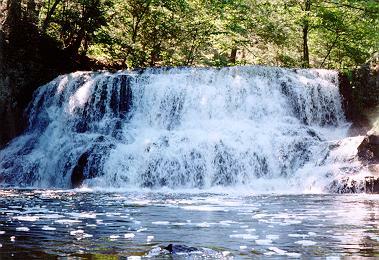 When visiting be sure to check out Wadsworth Little Falls as well.